John is a specialist in all areas of real property law and litigation, with particular emphasis on commercial leases and issues related to property development. He also has many years of experience in the law and practice of town planning and compulsory acquisition of land. He accepts instructions to act as an independent expert and as a legal assessor in arbitrations. John’s practice is both advisory and litigious. The advisory work often relates to development projects and possible impediments to them (for example, restrictive covenants and easements), where a robust and reliable view is needed. Some recent decided cases will provide an impression of John’s litigious work. In Cosmichome Ltd v. Southampton City Council  1 WLR 2436, John established that a restrictive covenant relating to broadcasting studios was not enforceable because it was not intended to protect the amenity or value of the covenantee’s land. Mount Eden Land Ltd v. Bolsover Investments Ltd  EWHC 3523 (Ch) concerned a landlord’s objection to the development of commercial premises to provide flats, on the grounds that future lessees of the flats might enjoy rights of enfranchisement; John established that, in the circumstances of the case, such an objection did not provide a reasonable ground for refusing consent to the proposed alterations. Stadium Capital (No. 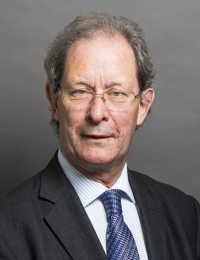 2) Ltd v. St Marylebone Property Company Ltd  1 EGLR 103 was, as Vos J put it, “the third instalment of a long-running battle concerning an advertising hoarding on the west side of the Finchley Road, projecting into the airspace of a cleared development site”. In the “first instalment” John had established that his developer client was entitled to damages for trespass and the decision of Vos J is now one of the leading cases on the method of assessment of such damages. and in Chambers UK 2019 it is stated that “he produces sensible and accessible advice that clients appreciate”. A new lease of life (on the drafting of lease clauses) (January 2015) (with Vivien King) Estates Gazette.